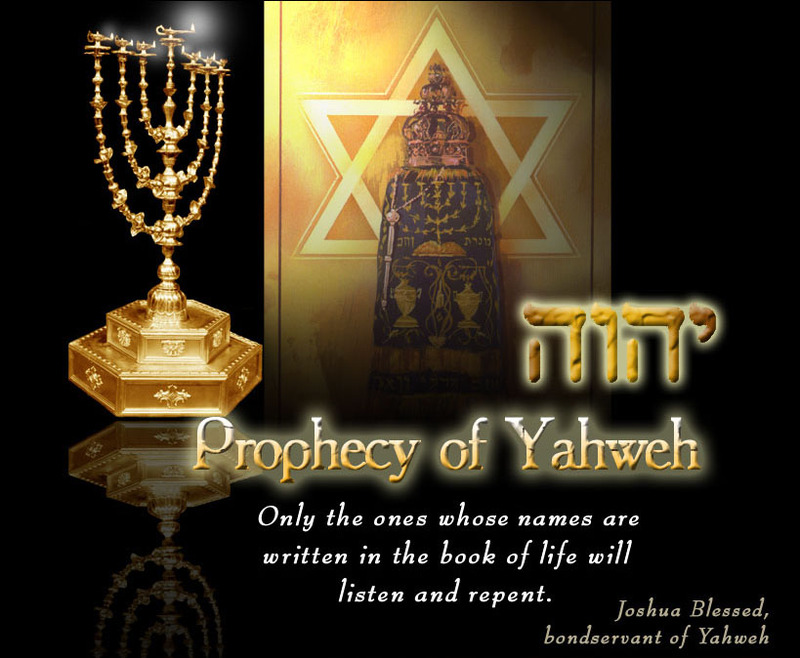 Prophecy of YahwehYahweh's forgiveness versus your own forgiveness. יהוה / Yahweh’s forgiveness versus your own forgiveness. What do you think about; Repentance, Forgiveness, Eternal life, is it from heaven and by heaven, or it’s from man and by man? We His sheep do know that it is only from heaven and by heaven, by our own experienced! Do you? #1 Here is a good an example of heavenly repentance and forgiveness by our heavenly father the Messiah יהוה / Yahweh / Yahshua. Peter Denies publicly 3 times > the Messiah יהוה / Yahweh / Yahshua . Mat 26:69 Now Peter sat without in the palace: and a damsel came unto him, saying, Thou also wast with Yahshua of Galilee. Mat 26:70 But he denied before them all, saying, I know not what thou sayest. Mat 26:71 And when he was gone out into the porch, another maid saw him, and said unto them that were there, This fellow was also with Yahshua of Nazareth. After that Peter saw his sins against heaven by denying his father the Messiah יהוה / Yahweh / Yahshua 3 times, then he began to seek a heavenly repentance and heavenly forgiveness from heaven against whom he has sins, by crying/weeping bitterly to the Messiah יהוה / Yahweh / Yahshua . Read this >>Mat 26:75…… And he went out and wept bitterly. Joh 21:19 This spake he, signifying by what death he should glorify Yahweh. And when he had spoken this, he saith unto him, Follow me. Therefore the forgiveness from heaven by His heavenly father the Messiah יהוה / Yahweh / Yahshua, caused Peter to love the Messiah יהוה / Yahweh / Yahshua and Peter choose to die for His name by a terrible death. Question . Why was Peter not afraid of such a death? Answer . Amen, Amen, I say unto you, a heavenly forgiveness by Yahweh/ Yahsua shall cause you to love Yahweh/ Yahshua more then your own life and you shall seek to die for His great name’s sake. Amen. Now Peter in Heaven with His heavenly father the Messiah יהוה / Yahweh / Yahshua ! #2 Here is also a good an example to all of us of self-repentance and self-forgiveness, and let us see his end. Mat 27:4 Saying, I have sinned in that I have betrayed the innocent blood. And they said, What is that to us? see thou to that. After all that he did according to the Bible’s law by himself: #1, #2, #3, the guilt of betraying the Messiah Yahweh/Yahshua did not leave him. Do you know where is Juda now? We do, many people saw him in a hellfire. Do you want to die being forgiven by your heavenly father Yahweh as Peter did in #1, and be in Heaven? Or you repented and forgave yourself as Juda in #2 and will go into hell fire?